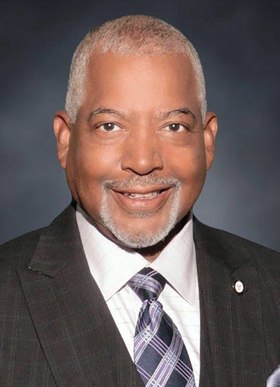 Rupert Evans is board chairman of Roseland Community Hospital in Chicago. When the Illinois governor's office called Rupert Evans in 2013 and asked if he could help troubled Roseland Community Hospital, he didn't have to be sold on the Chicago institution's importance to its community. Growing up about two miles from the hospital on the city's South Side, Evans knew well what the place meant to its struggling predominantly African-American neighborhood. The 134-bed hospital, which opened in 1924, is the only hospital within about six or seven miles. Evans, 64, who retired from the Air Force and returned to Chicago to run a community health center and work in academia, answered the governor's call and joined Roseland's board during a time of crisis. The hospital was about $30 million in debt and facing closure. The hospital had a nearly $6 million operating loss in 2009-10 and lost another $2 million the next year. At one point in 2013, the state had to step in with a bailout payment just to get staff paid. Evans was astonished at what he found. It wasn't just debt—there weren't even audited financials going back several years. Evans and his fellow board members, along with a new management team led by CEO Tim Egan, still face some difficulties in a state with its own budget troubles. But Roseland has emerged from the worst of the crisis. Evans pushed for renegotiation of debts. While the hospital had slashed staffing during the worst of the crisis, the new management team has been bringing staffing levels back as it has tried to boost the number of patients, seeking in particular to treat more outpatients. Since beginning its restructuring, the number of employees has grown by 20%, and the hospital has expanded outreach, adding for example, a mobile dental clinic for children. “If you saw the hospital four years ago and you look at it now, from a quality standpoint, from a morale standpoint, from any indicators you want to look at, you would see a 180-degree turnaround,” Evans said. For his achievements and leadership, Evans is the recipient of Modern Healthcare's Excellence in Governance Award recognizing a trustee of a medium-sized provider organization. Evans took a roundabout route back to the South Side after graduating from Chicago Vocational High School, working at U.S. Steel and then volunteering for the Air Force rather than take his chances with the draft during the Vietnam War. The Air Force opened a door to higher education and set Evans on a career path in healthcare. By the time he retired as a major in 1995, he had a master's in health management and had run the Air Force's largest teaching medical center. Roseland's new CEO, Egan, said Evans' military officer style—his “extreme discipline and a no-nonsense attitude”—was hugely important. After retiring from the Air Force, Evans returned to Chicago to run a community health center, earned a doctorate in health administration and began teaching. He remains on the faculty at Governors State University in University Park, Ill.
Evans has worked with board members and Egan to develop the hospital's new strategic plan, and he is pushing board training, hoping to avoid mistakes that nearly doomed the hospital under previous leadership.